Alan Ward, writer in residence at Hastings Library. What could a writer in residence offer your library service, and what do you need to bear in mind if you’re thinking about offering a residency? I’ve recently been writer in residence at Hastings Library, hosted by East Sussex County Council’s library service. Welcomed warmly by staff, the public and local organisations, I’ve seen first-hand the impact a writer in residence can have. 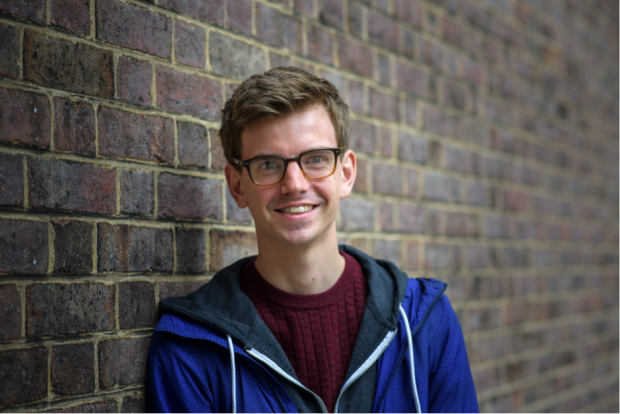 I ran creative writing workshops, forged links with the community, and acted as an intermediary between library users (and potential library users) and the organisation itself. I wrote extensively about the activity over on my blog. Writers are naturally at home in libraries. If you invite one in, set out clear goals for your project and devote time to finding the right person - then great things can happen! Two booklets to emerge from the Hastings library residency and a poster promoting a programme of public workshops. The project focussed on offering the opportunity for disadvantaged groups to try something new and creative. It was my job to partner with local organisations to reach relevant audiences and run creative writing workshops. Hastings library relocated from a temporary home to a refurbished building during my residency. This meant, particularly initially, there was less of a focus on the building itself. I travelled all around Hastings whilst ‘in residence’. Who are the main beneficiaries of the residency? Is it an opportunity for artist development or a development opportunity for members of your community? What ages or types of people are you looking to work with? Does the residency need to be wedded to a building or place? Perhaps you could have a writer in residence across a number of libraries in a region? Will the writer deliver events at places which aren’t a library? For the writer, how will running sessions balance with time and space to work on their own creative output? If you’re offering time and space to write, will you have a claim on any output? Where the role involves running events (workshops/readings), who will take responsibility for organising them? Will you expect the writer to liaise with various contacts and make things happen or will your team do this? There’s an extremely useful guide to hosting a writer in residence produced by Arts Council England available online. Written in 2003, some of the information is a little out of date (particularly when it comes to pay!) but it’s a useful document when it comes to shaping a residency. It emerged from a project run by The Poetry Society, which just so happens to be an organisation I once worked for. The Arts Council England document linked to above will help a little with this. A more up-to-date resource on writers’ rates for different activities is available from the Society of Authors. I couldn’t have been writer in residence at Hastings library if it wasn’t paid (it equated to 40+ days of work), and if the organisers hadn’t done a good job of sourcing funding and setting out exactly what they expected of me. If you’re organising a residency yourself, don’t expect a writer to work for free: take into account event delivery, planning time and any time you expect the writer to spend organising activities, as well as the time you’d like them to spend writing. Accommodation and travel should also be taken into account. You can read much more about my activity in Hastings on my website. I’ve blogged about the types of workshops I ran and how the people I met along the way benefitted, and suggested lots of tips for writers on engaging various groups. Do give the document from Arts Council England a read if you are serious about hosting a residency. You can also contact me via my website if you have questions about setting up your own residency. Additionally, The Word in South Shields runs a comprehensive programme of writing residencies and has some good resources on their website. 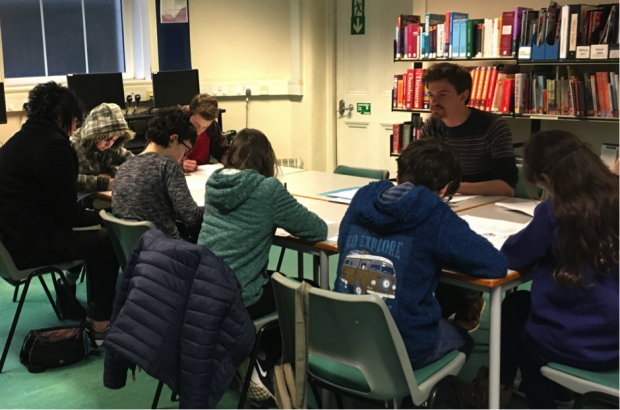 The Hastings Library writer in residence project was part of a project called Advantage East Sussex, funded through the DCMS/Libraries Taskforce ‘Libraries: Opportunities for Everyone’ fund, which was administered by Arts Council England. Advantage East Sussex built on the existing trusted relationships between local people and East Sussex libraries in order to improve the lives of disadvantaged residents and their communities.